I speak on behalf of the residents of Lasuuz. We are Nalumian water beings similar to what you call mermaids. Like Earth other places know the lower dimensions as well, to serve as training ground for anyone who wants to evolve rapidly. Nalumians usually choose some difficult cycles before returning with a wealth of new experiences. Earth was certainly not popular on the list and also Ludal would be the only one regarded to be ready to successfully complete this cycle. But our presence plays a major role on Earth and of course there were more candidates who volunteered. Our connection is through Sirius, where you have been prepared for your Earth experience. Before your adventure started you lived mostly underground. Make no mistake, the cities and parks there are excellent to stay and even though you love the nature outside, you always like to return back to the sheltered spot where you feel comfortable. Life aboard the ships is no penalty for you. Yes, you are highly respected and loved on Nalumio, because you approach all with great respect and warmth. 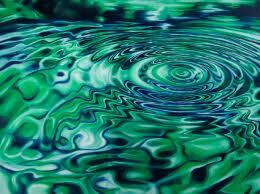 Nalumian water beings live in beautiful underwater complexes, crystal cities, emerald green. Sound is important for our welfare, we do not communicate with words. We welcome you back for a visit with us. The long tiresome journey is almost at an end. Know that our 'song' always cheers you on. In our hearts we are always together.